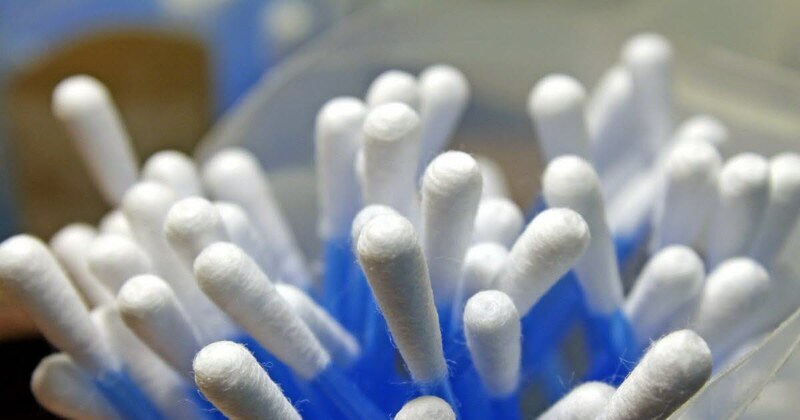 You will not look at a cotton swab in the same way after reading this story as reported by the British Medical Journal. In England, a 31-year-old man from Coventry went to the city's emergency department because of severe neurological symptoms: convulsions, headache, nausea, and left ear pain, from which escaped fluid. For the past five years, this healthy man has occasionally complained to his doctor about pain in his left ear and occasional hearing loss. But nothing comparable to his condition that required immediate hospitalization. After administration of antibiotics in the case of deadly meningitis due to a brain infection, the doctors decided to give him a CT scan, which showed the presence of two abscesses in the skull. They decided to examine his ear canal under general anesthesia and discovered that the inside was infected with a piece of cotton wool, a foreign body, and that this infection had spread to a skull bone and reached the meninges. The BMJ report indicates that swabs are a common cause of ear infections and wounds, but this unusual case of infection, called "necrotizing otitis externa", has never been seen before. An infection is usually caused by a bacterium, affecting the ear canal, the surrounding bone and – in the case of this patient – the tissues located in the skull, but not the brain. After his ear was cleaned and the antibiotic treatment adjusted, the health condition of the man improved. He fully recovered after ten weeks. "At the end of his antibiotic treatment, the patient generally remains healthy, with no neurological deficit or residual hearing symptom," the doctors write. And, more importantly, "he no longer uses a cotton swab to clean his ears".